Start off your visit on the 17th (Wed): explore the striking landscape at Perkins Cove. Here are some ideas for day two: examine the collection at Portland Head Light, admire the masterpieces at Portland Museum of Art, and then indulge your thirst for a good beer at Allagash Brewery. You can plan Ogunquit trip in no time by asking Inspirock to help create your itinerary. 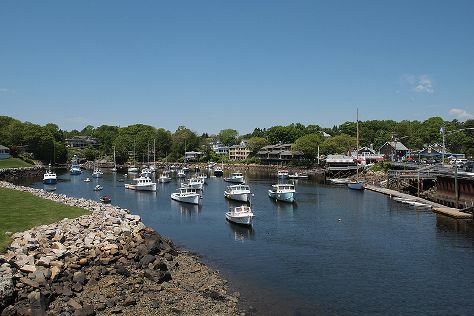 Quebec City, Canada to Ogunquit is an approximately 6.5-hour car ride. You can also fly; or do a combination of flight and bus. Traveling from Quebec City in April, expect nights in Ogunquit to be about the same, around -1°C, while days are somewhat warmer, around 14°C. Wrap up your sightseeing on the 19th (Fri) early enough to drive to Bar Harbor. Bar Harbor is a town on Mount Desert Island in Hancock County, Maine, United States. Kick off your visit on the 20th (Sat): don't miss a visit to Land Bridge to Bar Island, then cruise along Park Loop Road, and then take your sightseeing to a higher altitude at Cadillac Mountain. On your second day here, look for all kinds of wild species at Shore Path and then step off the mainland to explore Mount Desert Island. Inspirock's itinerary builder makes planning a Bar Harbor trip simple and quick. Traveling by car from Ogunquit to Bar Harbor takes 4 hours. Alternatively, you can do a combination of bus and flight; or do a combination of bus, flight, and car. When traveling from Ogunquit in April, plan for little chillier days in Bar Harbor, with highs around 11°C, while nights are about the same with lows around 0°C. Wrap up your sightseeing on the 21st (Sun) early enough to drive back home.